Adding on to your home is a big step, but it does not have to be complicated or overwhelming when you hire the right contractor. 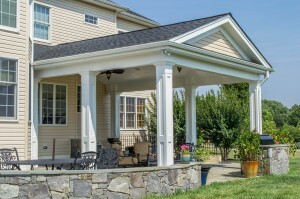 Cossentino and Sons has designed and built hundreds of home additions for clients across the state. A kickoff meeting helps determine the scope and size of the project and establishes a budget range. Once that has been approved, the design stage begins. You will then work hand-in-hand with our architect who will understand your budget as well as your design and efficiency criteria. From there, we deliver a detailed, accurate Contract Proposal and enter into the construction stage. Cossentino and Sons applies for permits through the necessary government offices, so you have nothing to worry about. We communicate throughout the project, and our employees treat your home and property as if it were their own. From the start of the workday to the end, we clean up after ourselves and stay on schedule. Understanding that remodeling is a stressful event, we try to make the process as comfortable and smooth as we can for our homeowners. In addition to making sure that the outside of the addition blends in seamlessly with the rest of your home, we also pay a great deal of attention to the interior. We will work with you to help select the right appliances, fixtures, and colors so your new addition flows effortlessly with your original house. 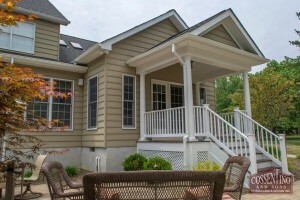 Of course, costs are always a concern with any type of home remodel or addition. At Cossentino and Sons, we provide you with detailed, accurate allowances that help everyone stay on budget. We realize that no one likes surprises when it comes to budgets.